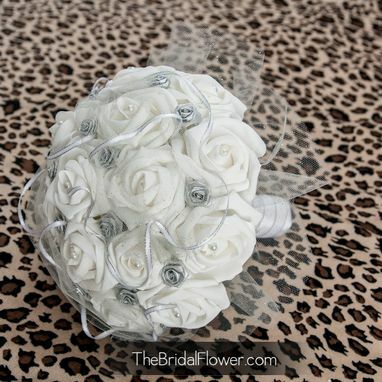 The ultimate classic, white elegant bouquet with a twist! 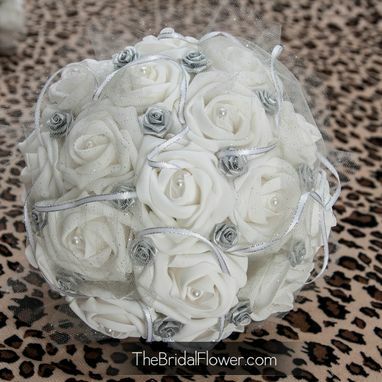 Medium size - made of large soft-touch and mini roses and accented with gray glittered tulle. 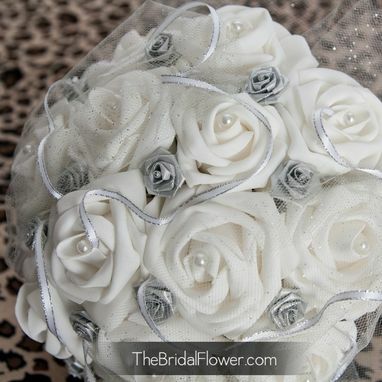 Simple but detailed with tulle covering a row of roses on the top, and also lines the bottom of the bouquet. Each rose has a pearl pin in it. 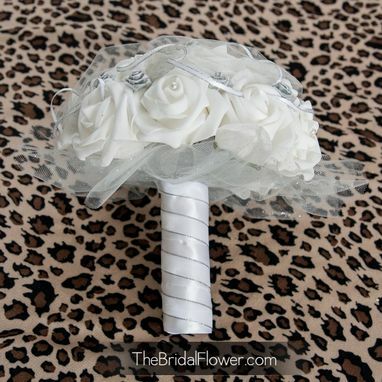 The handle is lined with white satin ribbon and accented with silver ribbon. 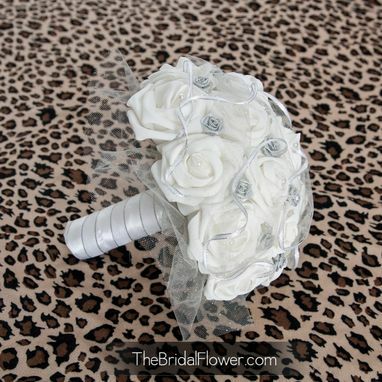 Matching bouquets, sets and accessories available upon request. Many colors available for the mini roses, please contact me. About 8.5in diameter with 1.5-2 inches of tulle around the sides. Handle is about 4.5in long with 1.5 diameter (both are adjustable). 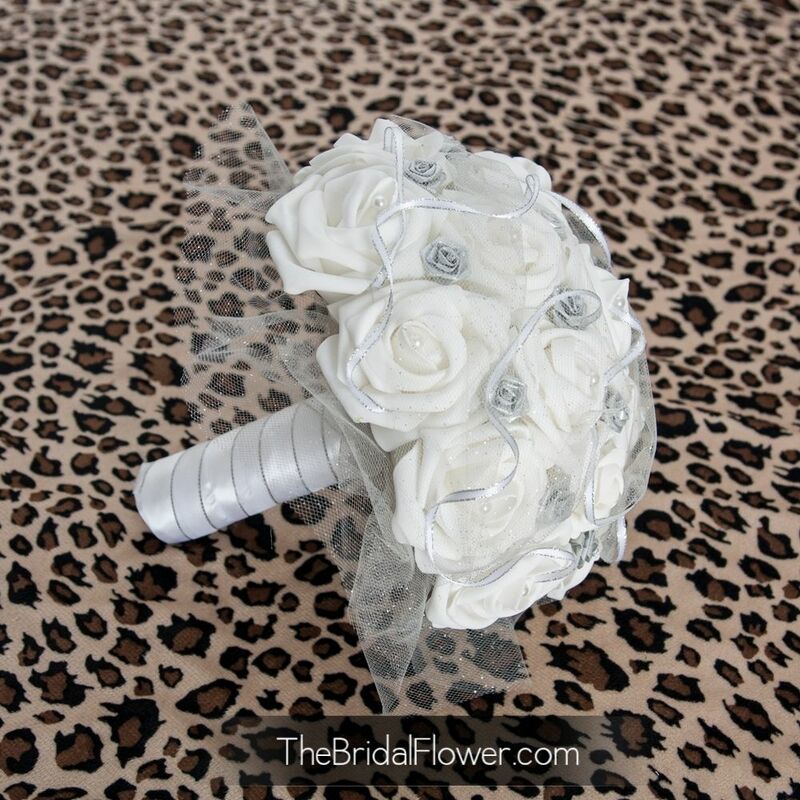 Bouquets are hand-made after you place the order. It may take 4-6 weeks before the item is shipped. Please check with me before ordering if you need a rush order.